IPS meeting 2019, Singapore, 13-15 March 2019, paper T8.113. in Optical Fiber Communication Conference (OFC) 2019, San Diego, California United States, 3–7 March 2019, paper M2D.4. in Optical Fiber Communication Conference (OFC) 2019, San Diego, California United States, 3–7 March 2019, paper Th1F.5. 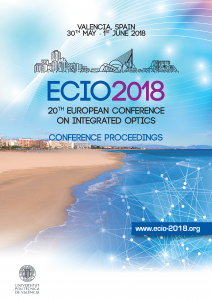 the 20th European Conference on Integrated Optics (ECIO 2018), 30 May-1 June 2018, Valencia, Spain. at the SPIE/COS Photonics Asia, 11-13 October 2018, Beijing, China. 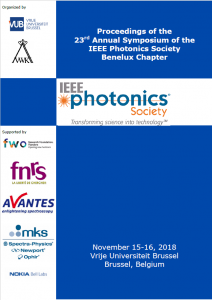 in the IEEE Photonics Conference (IPC 2018), 30 September - 4 October 2018, Reston, VA, USA. 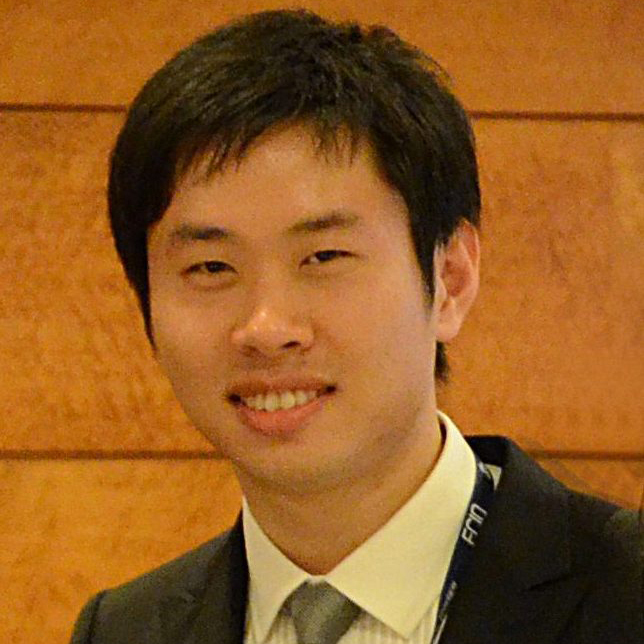 39th Progress in Electromagnetic Research Symposium (PIERS 2017), 19-22 November 2017, Singapore. 19th European Conference on Integrated Optics (ECIO 2017), 3-5 April 2017, Eindhoven, The Netherlands. in Proc. Opto-Electronics and Communications Conference (OECC), 31 Jul - 1 Aug, 2017, Singapore.